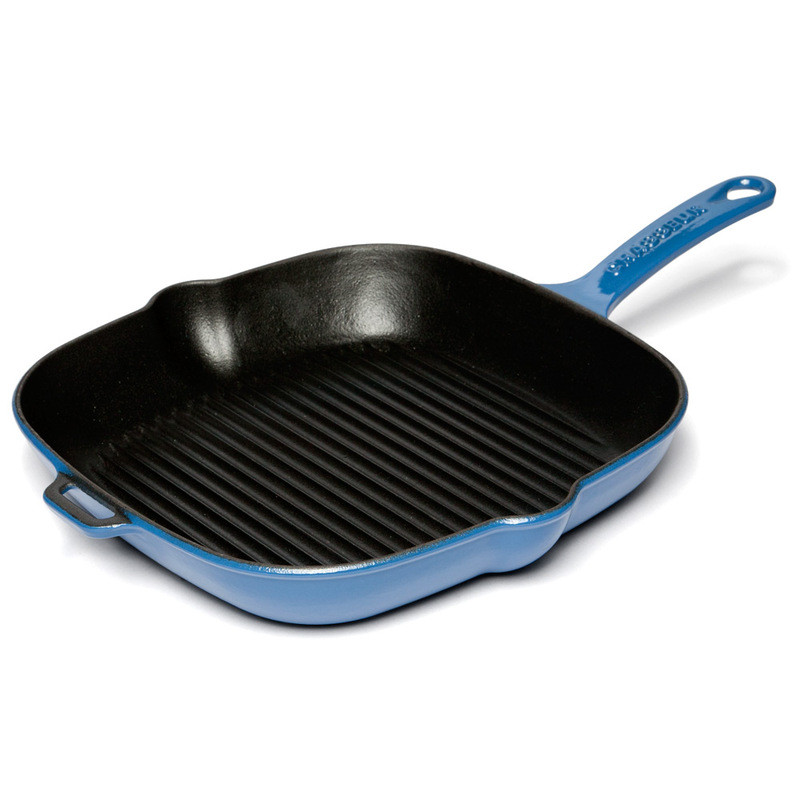 Anyone who truly appreciates the art of fine cuisine will love Chasseur cookware! For the last seventy five years, Chasseur has been made in Doncherry, in the northern part of France. The recipe for Chasseur is pretty simple – just take a strong, heavy core made from cast iron, and then add two coats of enamel. The first coat seals your cookware, protecting it from corrosion, while the second, coloured coat not only makes your Chasseur cookware easy to clean – it also gives it its colourful finish. Cookware has never looked so good! Mealtimes at your place are about to get a lot more interesting! Black enamel cooking surface won’t absorb stains or flavours. Cast iron cookware and its handles will become very hot during use, even on the stove top, so always make sure you handle your Chasseur with an oven mitt or pot holder when in use. Please note that this cookware is not non-stick, so use with care.